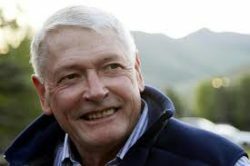 Radio giant iHeartMedia just took a major step toward emerging from bankruptcy — and falling into the clutches of John Malone (pictured). The idea: to create a soup-to-nuts toll taker for music lovers by combining iHeart with his other music properties, which include satellite-radio giant Sirius XM as well as concert promoter Live Nation and its Ticketmaster service, insiders said. On Monday, iHeart creditors approved a reorganization plan that will slash the company’s crippling debt load by two-thirds and return it to the public markets in February. Meanwhile, Malone’s Liberty Media is gearing up for a flurry of negotiations with iHeart’s creditors to assemble a stake of roughly 35 percent in iHeart, sources told The Post. Nevertheless, insiders say Liberty is determined to execute its longer-term vision. Gaining control of iHeart would give Liberty a music four-pack, as it already owns 71 percent of publicly listed SiriusXM Radio. Sirius in September agreed to buy streaming service Pandora Media. Liberty also owns 33 percent of listed Live Nation Entertainment, which owns Ticketmaster.